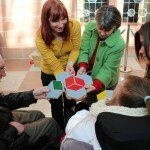 It is important to me that the audiences are active participants, exchanging ideas and provoking change. 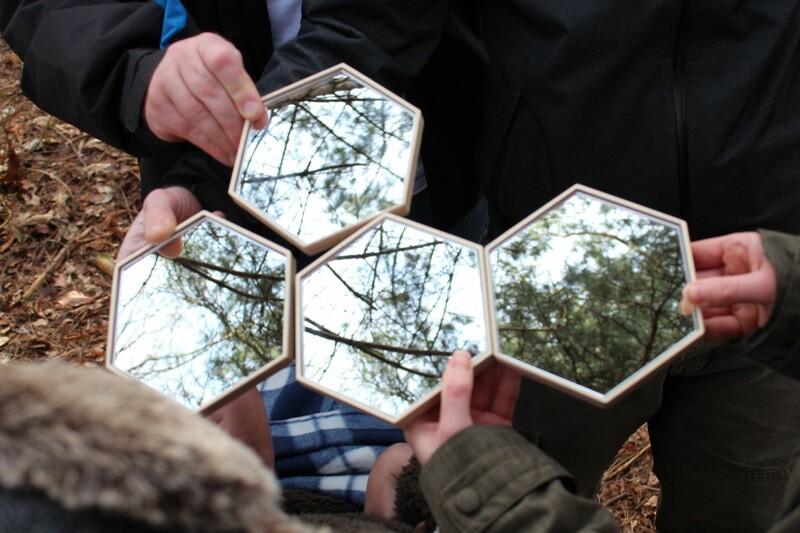 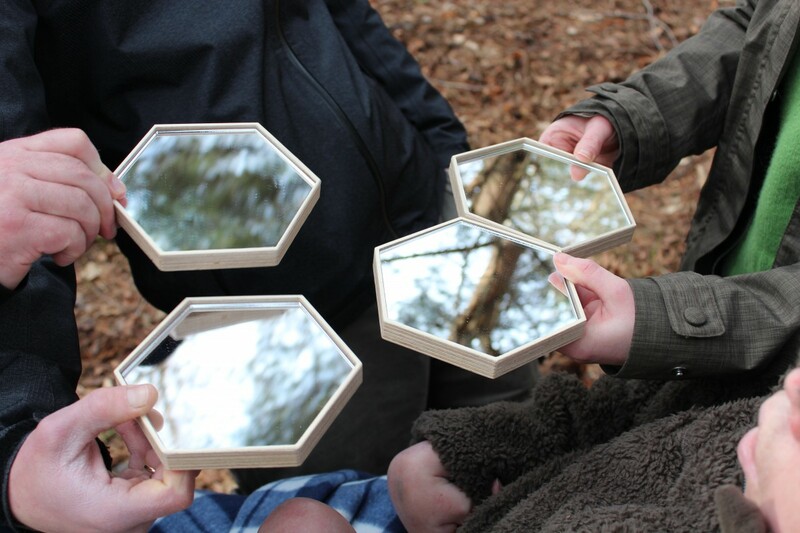 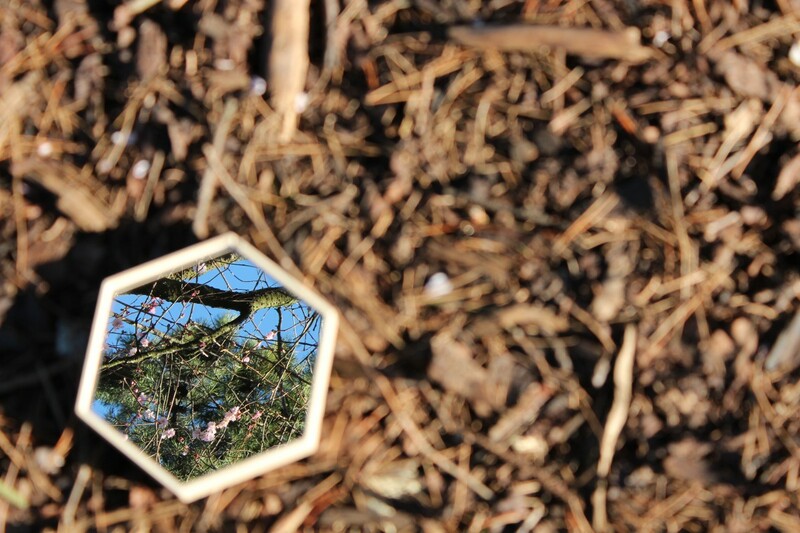 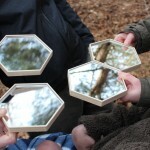 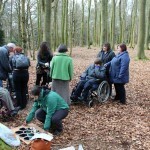 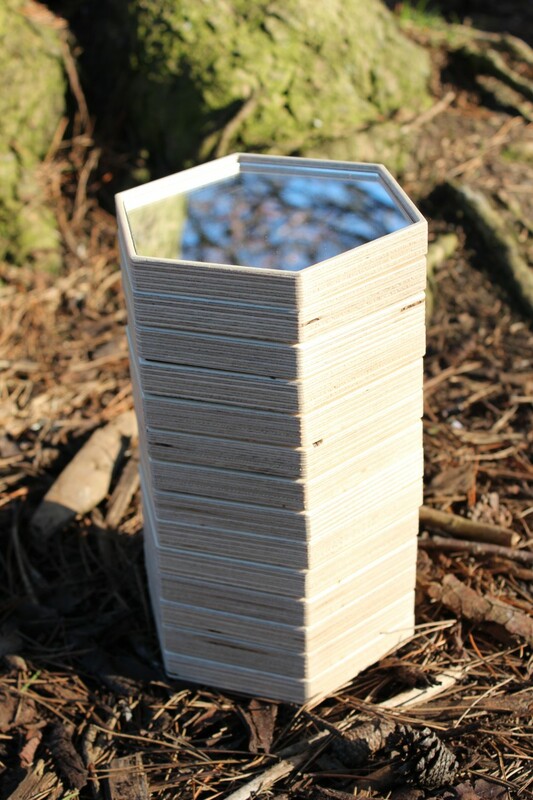 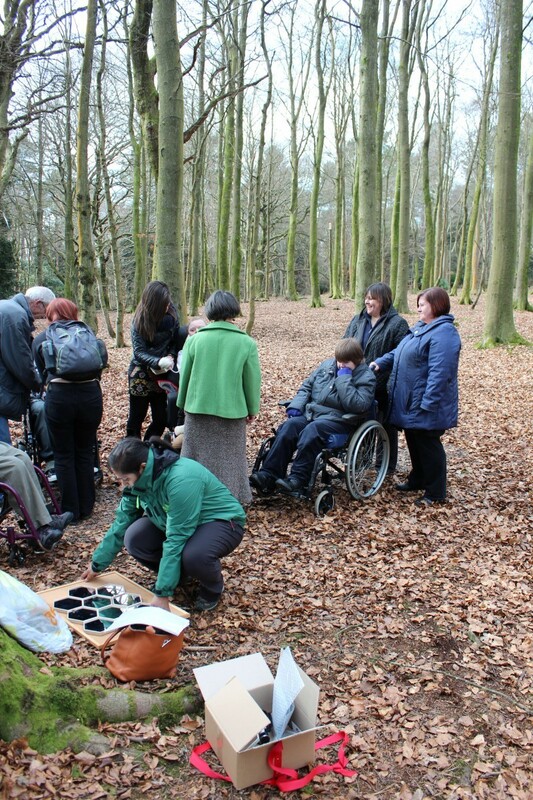 Timber Mirror Walk is a participatory artwork. 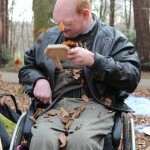 I designed the sculptures to be handheld and used in various environments. 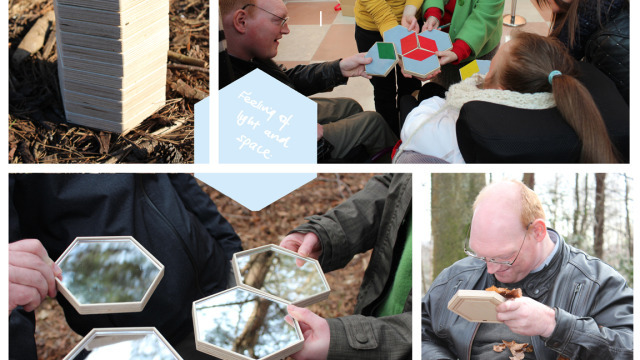 This work aimed to emphasise the audience’s sensorial experiences and create a platform for new languages. 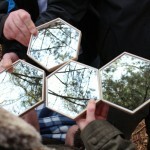 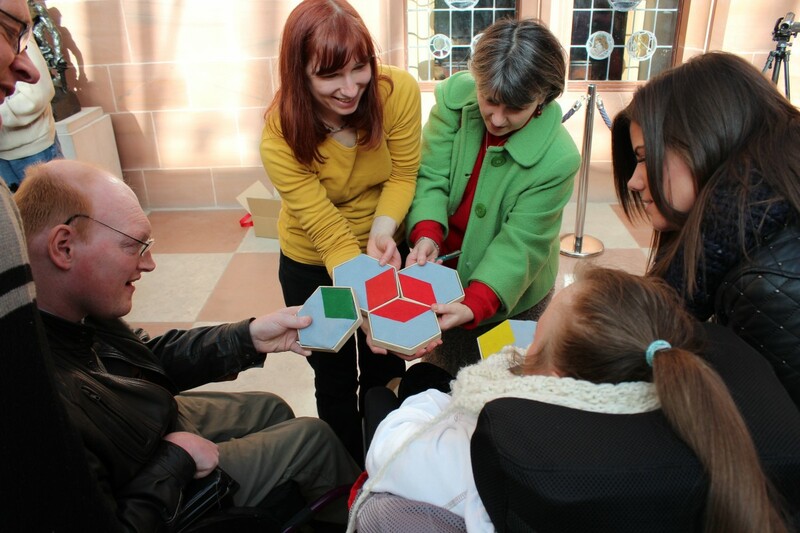 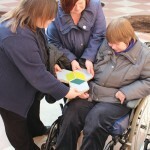 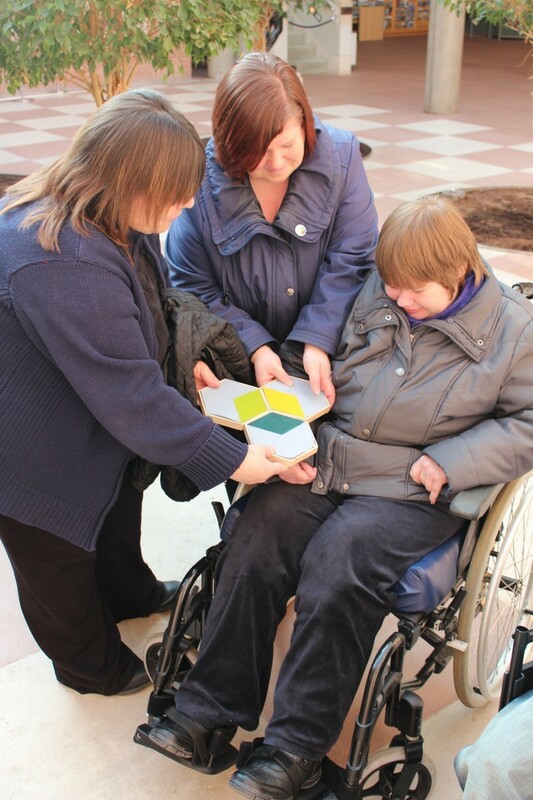 The hexagon shape allowed the audience to create formations and patterns collectively. 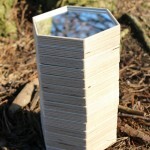 The process provoked movements and interactions with both each other and the environmental elements such as sunlight. 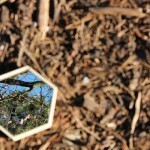 “Angle’s make sky fall down into my face. 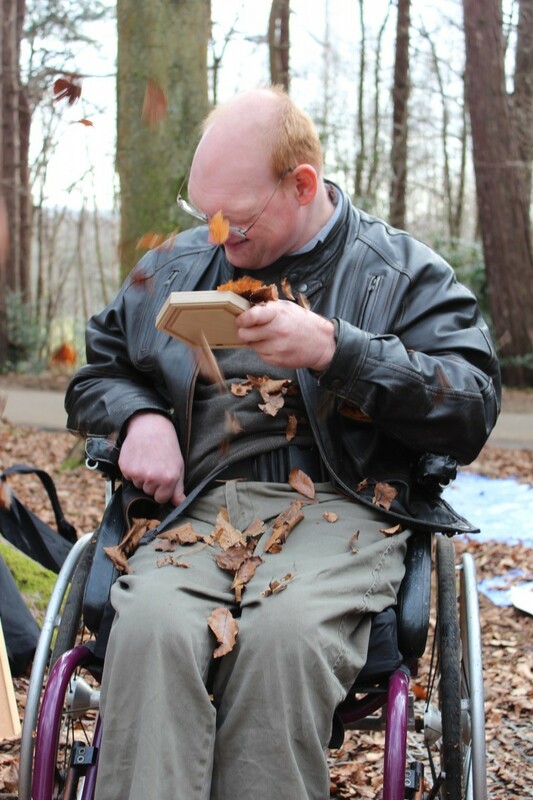 Outdoors fun”.